Do you feel your home is ready for the much desired curb enhancement? Contact ASAP Garage Door Repair and get ready to transform the look of your home. ASAP has been providing superior quality residential and commercial garage door repair services in Egg Harbor Township (08087), Ocean County from over many years. We are ready to serve your needs too! 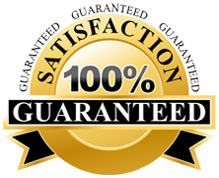 Family owned and operated business, ASAP guarantees 100% satisfaction with our services and products. How can a new garage door enhance the curb appeal of your home in Little Egg Harbor Township? With the top-notch services offered by ASAP Garage Door Repair professionals, you would be amazed to notice how much a new garage door can change the appearance of your dwelling. While selecting for a new garage door, do not only get swayed by its look, but do consider certain other options including its energy efficiency and the level of security it offers. Call ASAP professional for expert advice today! What are the salient features of the services offered by ASAP Garage Door Repair? How to find a Garage Door Technician in Little Egg Harbor Township? Dial (732) 322-8877 to find a technician servicing 08087 zip code areas any day! You can also drop an online query or request a same day inspection. This entry was posted in Little Egg Harbor Township on March 28, 2014 by admin.